Why is the $11 million interscholastic sports budget still treated as a sacred cow that can't be trusted to the decisions of individual schools? 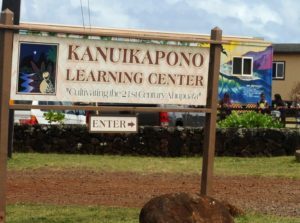 It has been a decade since Hawaii passed the Reinventing Education Act of 2004. Among its reforms was creation of a “weighted student formula” for allocating operating money to individual public schools. Giving more control to individual schools seems like a concept almost everyone can get behind, and yet, the DOE’s total WSF appropriation for fiscal year 2014-2015 is only 53 percent of its $1.4 billion budget. 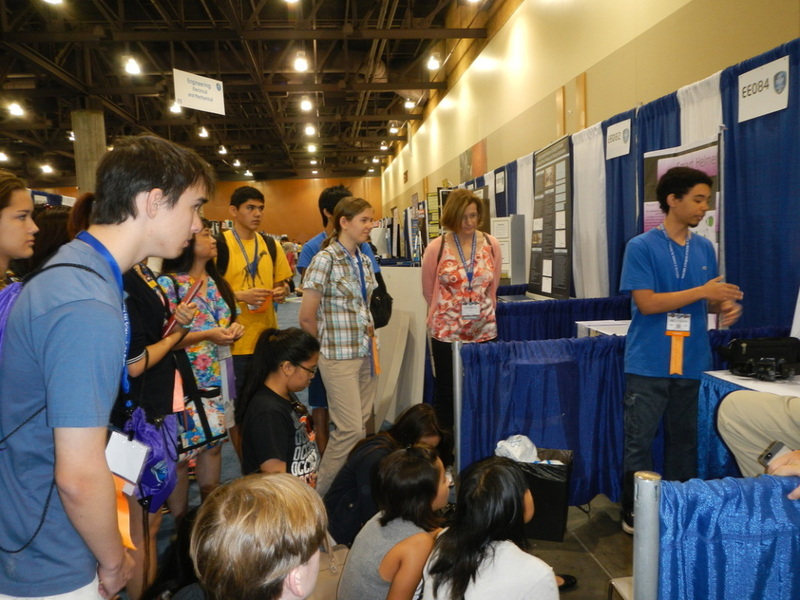 A scene at the 2013 Hawaii State Science and Engineering Fair. The event is one example of an activity best organized at the statewide level, rather than by individual schools. And to make matters more challenging for the DOE, Gov. David Ige committed to increasing its WSF appropriation up to 75 percent. Moving forward to fiscal year 2017, if the DOE receives its projected $1.5 billion allocation from the state, then 75 percent would mean more than $1.1 billion into the WSF. So between now and then, Team Ige will have to look for an additional $394 million to move into the WSF. A good place to start might be athletics, the funding of which has been kept out of local hands for outdated reasons. The DOE’s budget is fairly transparent in terms of which programs are not included in the WSF appropriations. The only reason a program allocation must be kept out is the money is used for meeting regional or statewide responsibilities that any individual or cluster of schools cannot meet. Still, trying to pick programs to move into the WSF is rather difficult. For example, should the $100,000 for the science and engineering fair be put into the WSF? If those funds were dispersed, who would coordinate the event, collect a participation fee from each school, and maybe determine whether there should be a sliding scale if a student is from the neighbor island? Imagine the required negotiations, invoicing, payment tracking, etc., happening over hundreds of these types of special programs. Then there are special programs that the DOE central office has minimal control over, and putting the money into the weights is not an option. For instance, the lieutenant governor’s office distributed $300,000 to the DOE to implement an after-school athletics program at five middle/intermediate schools across the state. There is a memorandum of agreement (MOA) and mandatory reports to be filed. The rationale that “compliance is handled by state” could justify keeping all money in the control of the DOE instead of individual schools. If that went into the weights, each middle and intermediate school in the state might end up with some equipment, but definitely no one would have an after-school athletics program. The concept of moving money to schools and letting them decide which programs best fit their priorities goes hand in hand with allowing students and families to decide which public school offers the best programs for their child. The money will follow the student. Schools have the choice to invest their WSF dollars to support priority programs, for example: a multi-media lab, science/engineering lab, performing arts center and/or athletic programs. Some schools may want five equally funded programs. Other schools may want to allocate the bulk of their discretionary funding to just one or two programs. Some schools collaborate and welcome students from neighboring schools to participate in their programs — this happens more often with performing arts programs than with athletics. The Castle High School Performing Arts Learning Center will be producing the dance musical “Footloose” this spring and students from seven DOE schools are involved. 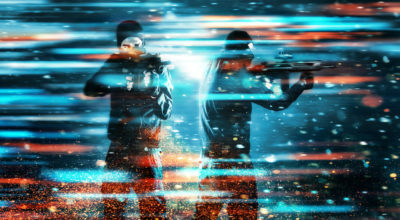 This level of collaboration is not unusual for Castle. In addition to this collaborative model, this program furthers the schools-of-choice concept. Center director Karen Meyer said there is no limit to the amount of geographical exceptions Castle can grant if a student wants to participate in her program. 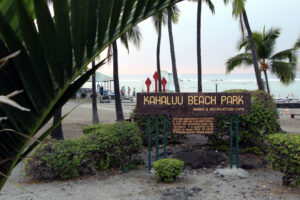 Some students spend hours every day commuting between the center in Kaneohe and their homes, some from as far away as the leeward coast or Waialua. Every student that this learning center attracts to enroll at Castle High School could represent an additional $4,393.73 for Castle via WSF for fiscal year 2015-2016. Geographical exceptions are more likely granted when the student’s home school does not have the same program available. For instance, a student may be granted an exception to play soccer because her school does not have a team. Schools located less than two miles apart could collaborate further. Can two small neighboring high schools with mediocre football and soccer teams consolidate efforts by sharing one football team and one soccer team? Each school could double the focus and resources for the one team it hosts on its campus. Would it be better for students, the schools, the sport? In 2005, the first committee was instructed to comb through the DOE’s programs to make recommendations. 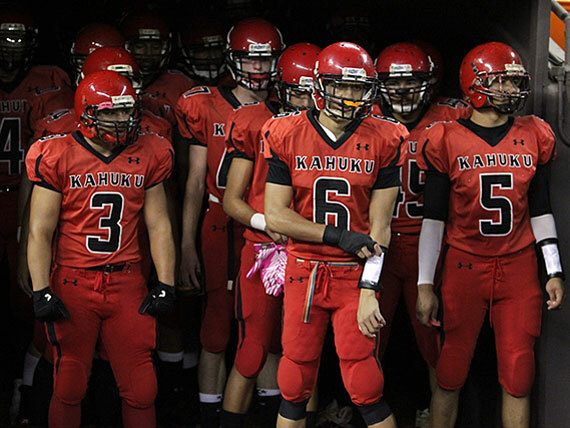 Kahuku High football players prepare to take the field. 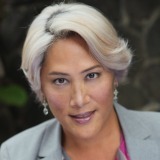 However, the committee cited three reasons to keep athletics out of the WSF: Title IX compliance is handled by the state, special transportation needs in Maui, which has three islands in its district, and issues of equity related to the size of the athletic program and the number of students in the school – a concern that small schools might get penalized. A memo and training can help schools and complex areas comply with the gender-equity requirement of Title IX. Over the past ten years, the courts and new U.S. DOE guidelines have made the issue much clearer. Furthermore, every single DOE dollar comes with some kind of state or federal civil rights compliance mandate. The rationale that “compliance is handled by state” could justify keeping all money in the control of the DOE instead of individual schools. Since 2005, subsequent committees have tweaked the distribution formula to financially mitigate remote school and small school challenges; which is part of the reason why Molokai High School received $4,855 per student this year, 19 percent more than the $4,063 Waianae High School on Oahu received. High school athletics has enjoyed an informal sacred-cow status since 2005. It now occupies seven separate DOE program IDs, totaling more than $11 million annually. Ige wants the DOE to identify and move an additional $394 million into the WSF so he can hit his 75 precent mark. Multi-million-dollar programs that have managed to avoid the gaze of the Committee on Weights may need to step out of the shadows and trust the process. The committee should celebrate its 10-year anniversary by revisiting all the DOE program allocations.